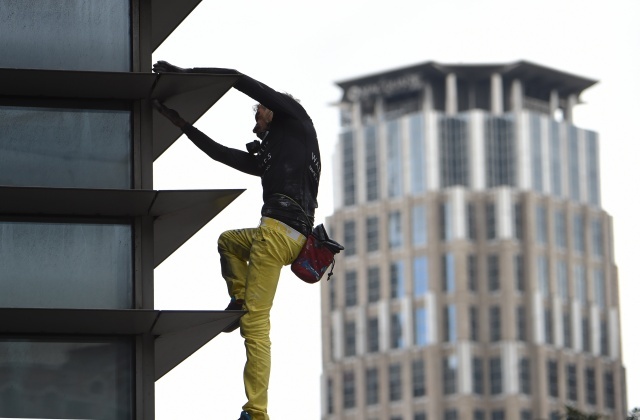 (AFP) - French urban freeclimber Alain Robert was arrested on Tuesday, police said, after he scaled one of Manila's tallest towers in his latest high-risk ascent. "I'm just climbing a building. I'm not killing anybody. It's not a bank robbery," he said. "I saw thousands of people inside the buildings. I did brighten their day. They will remember that their whole life."